As I’m sure you’re aware, the quantities of data created nowadays is often disproportionate to the storage capacity of our older systems, costing us more and more each year to support. We’ve put together a configuration that offers IT departments the chance to put a 2U server in place with fantastic expansion potential at 70% reduction against manufacturers list price. A price that won’t make a huge dent in the IT budget for the processing power and storage capacity it provides. We can build the below base model to your desired configuration in terms of memory, storage and attachment cards. 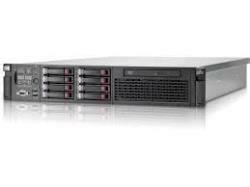 The HP ProLiant DL380 G7 Server continues to deliver on its heritage of engineering excellence. With increased flexibility and the performance abilities of its Intel Xeon 5600 series processor, the G7 remains a sound choice for a variety of application requirements.